Spivak Law Firm has represented many people who cherish the Constitutional right to own guns. Some are hunters. Some are police officers and other law-enforcement officials whose livelihoods depend on the ability to carry a firearm. In Pennsylvania, the Protection From Abuse (PFA) law has been changed to restrict gun ownership against people accused of domestic abuse. For the first time, a person subject to a Final PFA order will be required to give up his or her guns to police within 24 hours. The law applies even in cases of alleged stalking and harassment where a firearm was not involved. The law is controversial because the burden of proof for obtaining a Final PFA order is far lower than for obtaining a criminal conviction. In fact, many people subject to Final PFA orders are never even charged with a crime. If you’ve been served with a PFA, call Spivak Law Firm for a free consultation at (412) 344-4900 or toll free at (800) 545-9390. We’ve all heard the phrase “burden of proof.” What does it mean? Burden of proof refers to how convincing the evidence must be to obtain a criminal conviction or Protection From Abuse (PFA) order. In criminal court, the burden of proof is very high: beyond a reasonable doubt. This means the judge or jury must be 99 percent certain that the defendant committed the crime in order to convict. In PFA court, the burden of proof is much lower: preponderance of the evidence. This means the judge must be just 51 percent certain that the alleged abuser acted in a way that warrants a Final PFA order. It is much easier to get a Final Order than a criminal conviction because the burden of proof is so much lower. Spivak Law Firm provides strong, aggressive defense at all PFA and criminal domestic-violence hearings. We routinely handle PFAs and PFA violations, as well as criminal domestic-violence charges such as simple assault, aggravated assault, terroristic threats, harassment, stalking, recklessly endangering another person, endangering the welfare of children, child abuse, and aggravated assault. To schedule a free consultation with an experienced defense attorney, call Spivak Law Firm at (412) 344-4900 or toll free at (800) 545-9390. PFA Law: What Is Abuse? Under Pennsylvania Law, the term “abuse” is defined broadly when determining whether to grant a Protection From Abuse (PFA) order. It does not merely include physical violence. Spivak Law Firm provides strong, aggressive defense at PFA hearings. We routinely take cases in Pittsburgh and all surrounding counties, including: Allegheny County, Beaver County, Butler County, Fayette County, Indiana County, Mercer County, Washington County, and Westmoreland County. To speak with an experienced PFA attorney, call Spivak Law Firm at (412) 344-4900 or toll free at (800) 545-9390. If you’ve been served with a Temporary PFA or if a Final PFA was entered in your case, you may have just 24 hours to surrender your guns, weapons, ammunition, and firearms license to your local sheriff’s office. Ignoring a court order to relinquish your guns could result in up to 10 years imprisonment under federal law. In some cases, PFA defendants could instead give their guns to a friend or family member for safekeeping, so long as the third party signed an Affidavit of Accountability with the sheriff’s office and underwent a criminal background check. But a new Pennsylvania law prohibits the third-party safekeeping option for gun owners accused of domestic abuse. Spivak Law Firm advises PFA defendants on how to protect their Second Amendment right to possess firearms. We provide strong, aggressive representation at PFA hearings. For more information, call us at (412) 344-4900 or toll free at (800) 545-9390. Underage drinking is a criminal offense in Pennsylvania punishable by up to three months in jail. The legal age for buying, drinking, possessing or transporting alcohol in Pennsylvania is 21-years-old. 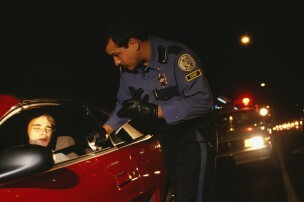 The mere attempt to purchase alcohol may result in a summary offense if you’re underage. Additionally, the Department of Transportation may suspend the defendant’s driver’s license even if there was no car involved. A first conviction will result in a 30-day suspension of driving privileges; a second conviction will result in a 1-year suspension; and any additional convictions will result in a 2-year suspension. For a free consultation with an experienced criminal defense attorney, call Spivak Law Firm at (412) 344-4900 or toll free at (800) 545-9390. If you’ve been served with a Temporary Protection From Abuse (PFA) order, there may be a formal hearing. A Court of Common Pleas judge will hear all the evidence and determine whether to grant a Final PFA order, which can remain in effect for up to three years. Many cases are “he-said, she said.” In other words, there is no clear, definitive evidence to show whether the alleged abuse occurred. The judge must closely observe the accuser and the alleged perpetrator of abuse to determine who appears more credible. At Spivak Law Firm, we carefully prepare our clients so they have the best opportunity for success at their PFA hearing. We have helped hundreds of plaintiffs and defendants in PFA matters. For a free consultation, call Spivak Law Firm at (412) 344-4900 or toll free at (800) 545-9390. –Emergency PFA: A magistrate may order an Emergency PFA at times when a Court of Common Pleas judge is not available, such as at night, on weekends, and during holidays. An Emergency PFA expires automatically at the close of the next business day. Therefore, if you get an Emergency PFA on Friday night, it will remain in effect until Monday at 5:00 p.m. so long as Monday is not a holiday. –Temporary PFA: A Court of Common Pleas judge may order a Temporary PFA based on an accuser’s sworn testimony of abuse. Pennsylvania law requires that a Final PFA hearing be scheduled within 10 days after the Temporary PFA is granted. –Final PFA: A Court of Common Pleas judge may order a Final PFA after a hearing. In some cases, defendants will consent to a Final PFA without need for a hearing. A Final PFA may last up to three years. Spivak Law Firm has successfully represented hundreds of plaintiffs and defendants in PFA matters. For more information, call Spivak Law Firm at (412) 344-4900 or toll free at (800) 545-9390. Attorney Todd Spivak, owner of Spivak Law Firm, was featured in a recent news article regarding changes to the Protection From Abuse (PFA) law in Pennsylvania. The Pennsylvania General Assembly recently passed a bill requiring people with Final PFA orders to surrender their firearms within 24 hours to law enforcement. In the article, Attorney Spivak is described as a proponent for reforming the PFA law to curb false claims of abuse. Your home: You may be permanently evicted from your residence. Your kids: You may lose custody of your children for an extended period of time. Your job: You may be terminated from your job, especially if you’re a police officer, teacher, daycare worker, or anyone subject to background checks. Your rights: You may lose your Constitutional right to possess firearms. Your freedom: You may be jailed and face criminal charges for allegedly violating any provision of an active PFA. Spivak Law Firm provides strong, aggressive defense in all PFA and criminal domestic-violence matters. Based in Pittsburgh, we routinely represent clients in Allegheny County, Beaver County, Butler County, Fayette County, Indiana County, Mercer County, Washington County, and Westmoreland County. PFA Hearings: What If There’s No Evidence? Many people mistakenly believe that a Final Protection From Abuse (PFA) order won’t be granted unless there is definitive evidence of abuse. Most cases of alleged domestic violence cannot be proved definitively. There may not be any eyewitnesses, medical records, photographs of injuries, or written correspondence to prove that abuse occurred. But a judge may still order the Final PFA based on the credible testimony of the alleged victim. In other words, judges rely mainly on what the accuser says under oath when determining whether to grant a Final PFA. If you have been served with a Temporary PFA, you are at great risk of a Final PFA unless you obtain effective legal representation. For a free consultation with an experienced PFA attorney, call Spivak Law Firm today at (412) 344-4900 or toll free at (800) 545-9390. At Spivak Law Firm, we provide strong, aggressive defense at Protection From Abuse (PFA) hearings. Based in Pittsburgh, we routinely accept cases in the following counties: Allegheny, Armstrong, Beaver, Butler, Fayette, Indiana, Mercer, Washington, and Westmoreland. Each county has different local rules and customs for PFA hearings. For instance, cases in Allegheny County frequently settle without need for a formal hearing. Many of our defendants never go before a judge or even see the inside of a court room. In more rural counties, virtually all cases go before a judge. There are often fewer alternatives for reaching settlement, thereby resulting in a greater likelihood of trial. At Spivak Law Firm, we are experienced trial lawyers who aim to protect your liberty, your job, and your child-custody rights. We have successfully represented hundreds of people accused of domestic violence, harassment, stalking, sexual violence, and other forms of abuse.To schedule a free consultation with an experienced PFA lawyer, call Spivak Law Firm at (412) 344-4900 or toll free at (800) 545-9390.